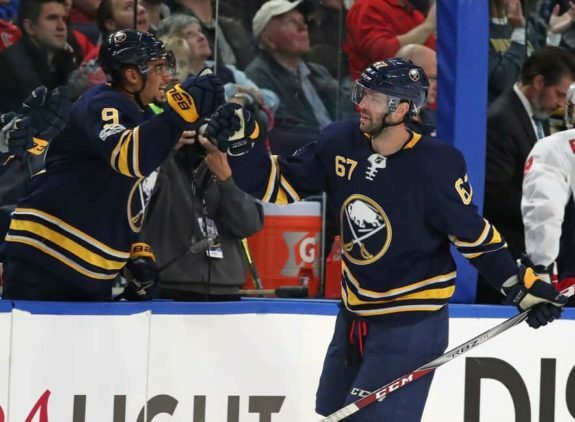 An embarrassing, brutal season that was over well before Thanksgiving is hinging on Buffalo Sabres general manager Jason Botterill’s next move. Can he save some face for a floundering franchise mired in less than mediocrity? It’s no secret; Botterill has known for months this day was coming. 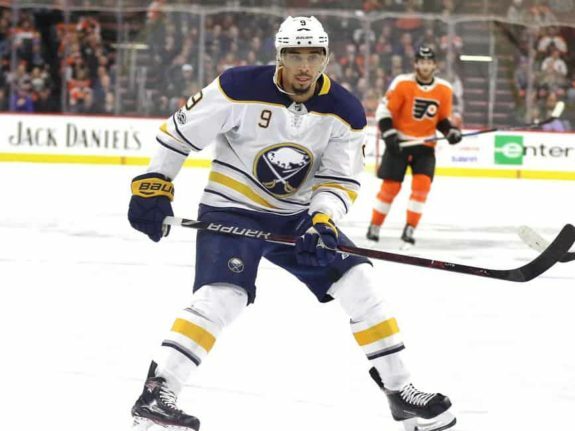 His sole purpose and by far most important job is to get value for Evander Kane. Botterill has until 3 p.m. EST to deal Evander Kane for as much as he can. He’s still expecting a first-round pick, a player, a prospect, a minor-league player and another pick. Anything is possible, but that seems doubtful. Kane has potted 68 goals and added 50 assists for 118 points in 196 games while wearing blue and gold. Of the 68 goals, 56 were at even strength, eight on the power play and four shorthanded. He started off the 2017-18 season very strong but slowed down considerably come the new year. 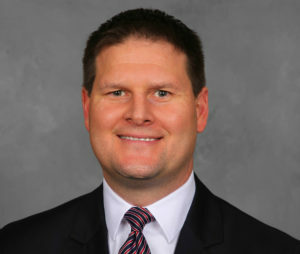 The Sabres then-general manager Tim Murray paid mightily for Kane as part of a 2015 trade deadline blockbuster deal with the Winnipeg Jets. Murray was fired after the 2016-17 season. There are several teams said to have an active interest in Kane’s services. They include San Jose, Anaheim, and Philadelphia. There could be others. On Sunday, the New York Rangers sent Rick Nash to the Boston Bruins for an impressive haul. 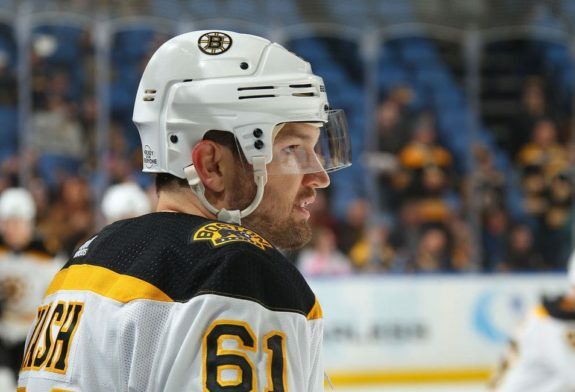 Nash, seven years older than Kane, was dealt for Boston’s 2018 first-round pick, forward Ryan Spooner, college defenseman Ryan Lindgren, veteran minor-league forward Matt Beleskey and a 2019 seventh-round pick. After Nash, who was sitting at or near the top of most trade bait charts, was traded, many expected a series of domino trades. They didn’t materialize Sunday. The Sabres are a team that’s been in the league’s basement for far too long. This season will mark the seventh straight watching the playoffs. There’s enough blame for everyone to share in it. Players have underperformed. Glass-half-full rookie head coach Phil Housley all too often sugarcoats his team’s problems. And J-Botts has whiffed on many of his plug-and-play acquisitions: Jacob Josefson, Jordan Nolan and Matt Tennyson. Nathan Beaulieu looks lost at times. Jason Pominville’s $5-million salary feels heavier than ever. Sabres fans and season ticket-holders are beyond livid. The team they’ve supported through thick and thin has made them feel taken advantage of, unimportant and underappreciated. On too many nights, they’ve seen a team that’s not ready to play. The Sabres have scored the fewest goals in the first period of any team in the league. A total of nine wins on home ice just doesn’t cut it. Many fans are just plain apathetic at this point. Then there are the complaints about dirty seats, overpriced concessions, and the screech-a-thon in-game presentation at KeyBank Center. Winger Benoit Pouliot is likely headed out, as is defenseman Josh Gorges. For a competitive team that wants to add depth, these players are a touch of insurance should injuries hit. It wouldn’t be surprising to see Robin Lehner or Chad Johnson get dealt, too. Pouliot, with 12 goals and 4 assists in 58 games, is an affordable rental. He’s an unrestricted free agent that will likely not be re-signed. For the Sabres to move blueliner Josh Gorges, they’d likely have to retain half of his $3.9-million salary. He’ll also be an unrestricted free agent after the season. 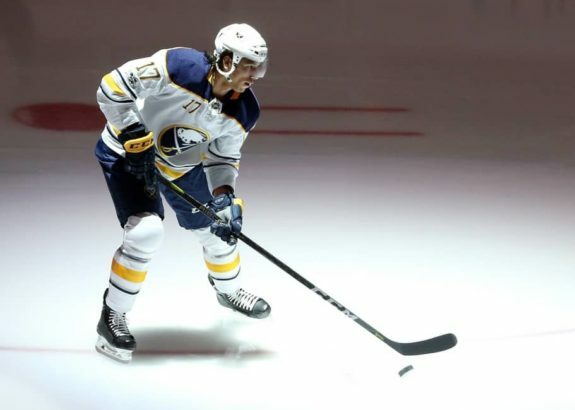 Unlike previous seasons, the Sabres can’t deal players just for draft picks. This team is in dire need of players that can play the right way, who can bring consistency in play and professionalism in attitude. A depth player like Scott Wilson was a start, but the Sabres need top-six forwards. Especially wingers. Botterill has stayed true to his word about letting players grow in Rochester. Amerks Casey Nelson and Brendan Guhle will almost undoubtedly make the jump to Buffalo next season, as will goaltender Linus Ullmark. This is Botterill’s first trade deadline. Will he sell the future of this franchise for a marquee player like Eric Karlsson? Will he be successful getting the package of players, prospects and picks he demands? It’ll be a critical day for Botterill that Sabres fans will be watching closely. It’s likely everyone in Western New York will be clinging to Twitter and social media for the net result of Botterill’s first deadline day. There’s no doubt Botterill had success with the Penguins front office. However, since he took over for Tim Murray last summer, his most notable move has been slamming a press room door after going down 2-0 to the Los Angeles Kings. The time is now to show his worth as a general manager. As much as hockey is for entertainment, it’s also a business where winning matters. For too many years, this team has not won. Monday will be a chance for Botterill to send a message to Sabres faithful that things will turn around.